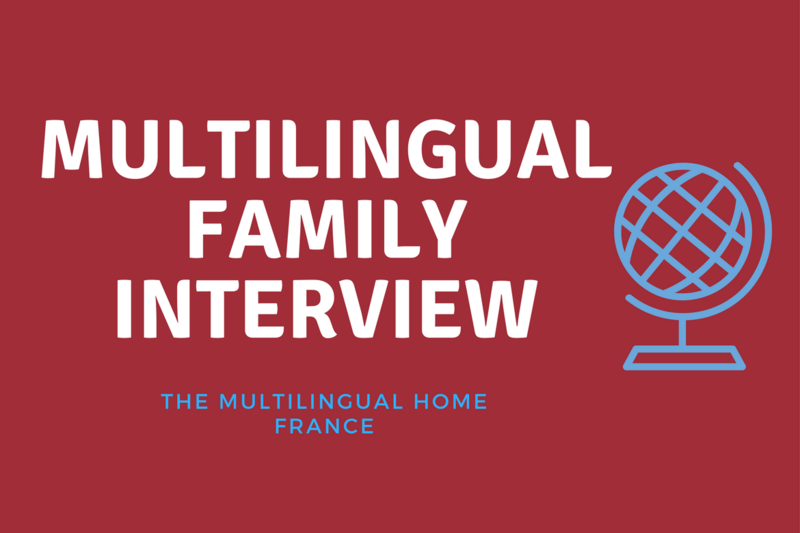 Info : Each month we will share an interview of a multilingual family around the world. The interview will share their story as well as their challenges, successes, tips and advice. If you would like your family to participate in an interview, please contact us here. Introduce yourself and your family. I’m Meryem Adrienne and I am an American from Kentucky. My husband is The Turk from Elazig, Turkey. We met while I was studying abroad in Paris, France, where we currently live. We have two children, Miss F and Mr. Z ; and Mr. M will be coming in February 2018. What languages do you speak in your household? English is my mother tongue and my husband speaks Turkish, Kurdish and Zaza. Our common language is French. We are currently trying to learn Arabic as non-native speakers. Which ones on a daily basis? English, French, Turkish and occasionally Arabic. Are you teaching your children these languages? If so, how are you teaching them? I am currently homeschooling our children in both French and English. Each month, we have an overall theme which is divided into 4 or 5 small themes and then we alternate between one week in French and the other in English. The Turk speaks Turkish with our children whenever the opportunity presents itself. We live in a neighborhood with many Turkish families so the kids are exposed to the language almost daily. Miss F attends one of our local mosques. It happens to be a Turkish-run mosque so her lessons are in either French, Turkish or Arabic. What have been challenges so far? I try to insist that we speak French when we are all together as a family, even though The Turk and the kids revert back to Turkish all the time. Miss F has even started to add Turkish words into her sentences and sometimes it gets frustrating because my Turkish skills are very limited. Also, Mr. Z mainly speaks Turkish, I usually correct him in English or French depending on what language week it is. He is starting to use words like Merci, cup, and tummy. As I said above, we are currently all trying to learn Arabic and as non-native speakers it sometimes presents challenges. For example, I am sometimes unsure if I am pronouncing something correctly. Tell us about one of your successes. 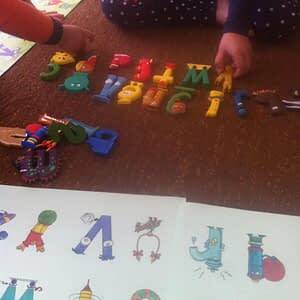 We had been having trouble with learning French phonetics and letter sounds. I had come across a program called Les Alphas on Instagram and I decided to try it out for Miss F and Mr. Z. We watched a few of the videos on YouTube to see if it would spark interest and it did. So I bought the letters. The day they were supposed to arrive I printed off some coloring pages so that we could color them while waiting. Miss F kept pointing to different letters and telling me what sound they made. I was so impressed that after having only watched the videos a few times she had already picked up certain sounds. What are some other ways besides just speaking the language that have exposed your children to language learning, (example: cultural events, food, travel, etc.)? We try to eat a variety of food from different regions of the world each week and then we talk about where the food comes from and where the country is located. What is some advice you would like to offer to other multilingual families? Go at your own pace, don’t be frustrated if your child refuses to speak your language at first. They are listening and they will be speaking it before you know it. Expose them to the language(s) that you would like them to know consistently and on a daily basis if possible through TV programs, Facetime/Skype calls with family, chatting with them, etc. If you are a multilingual family and would to share your multilingual adventure, please contact us here !